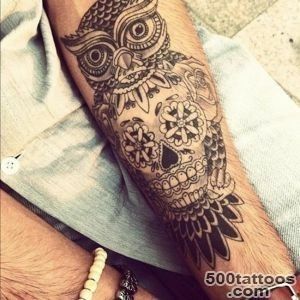 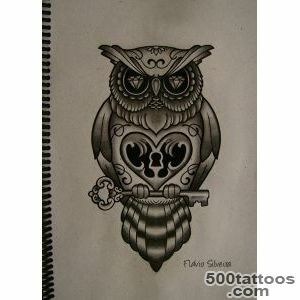 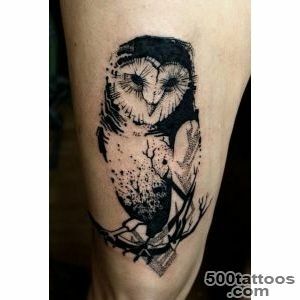 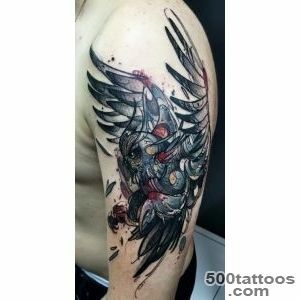 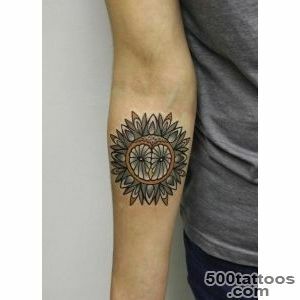 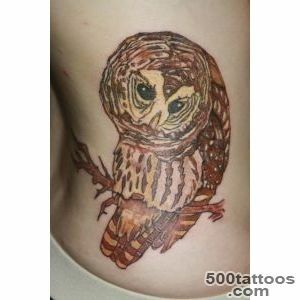 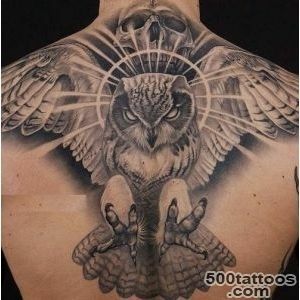 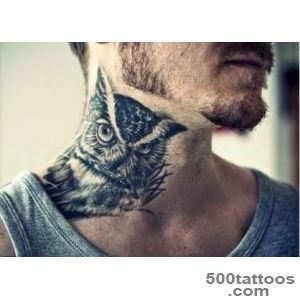 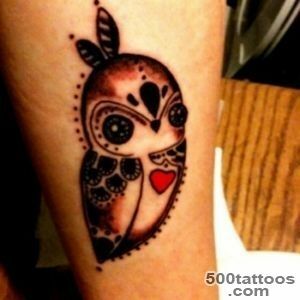 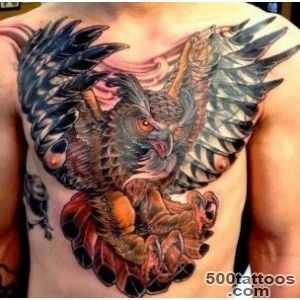 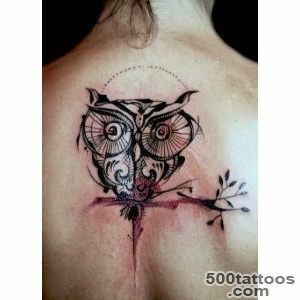 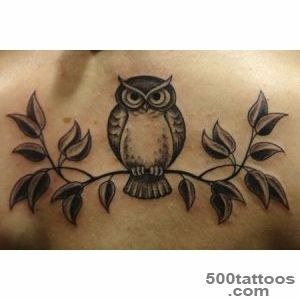 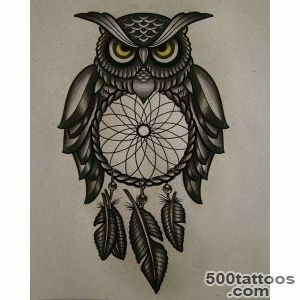 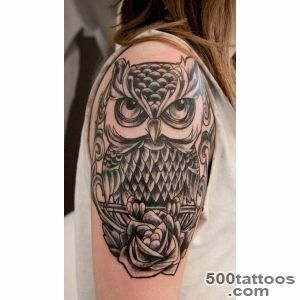 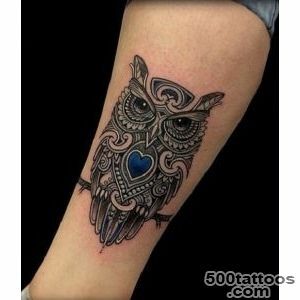 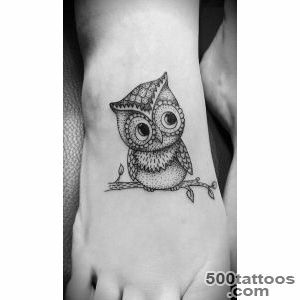 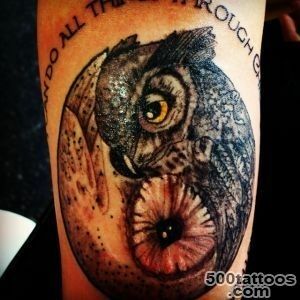 Popular tattoo owl carries a number of different values ​​that come to us from ancient times . 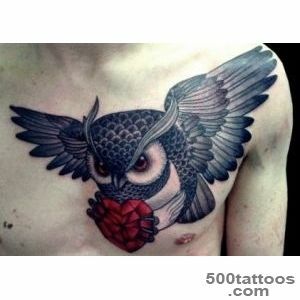 This bird of prey is not only associated with the night time of day and the dark forces , but also a symbol of deep wisdom . 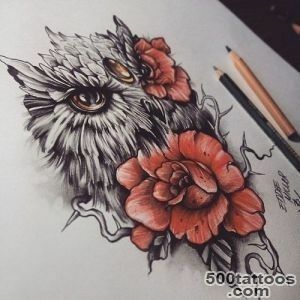 Sketch of tattoo owl often paint together with other symbols , such as a clock , for example .Image owls as the embodiment of fear and frightening forces that are awakening at night, came to us from China . 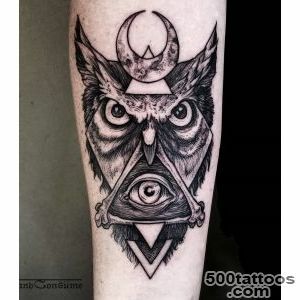 It was there that a large bird of prey with sparkling eyes and a gruff voice , the ability to move silently , was consistently associated with black magic , the world beyond the grave , sorrow and death . 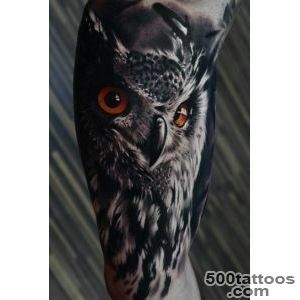 The Chinese believed that the owls are able to peck out his eyes ,and are subject to destruction and disaster. 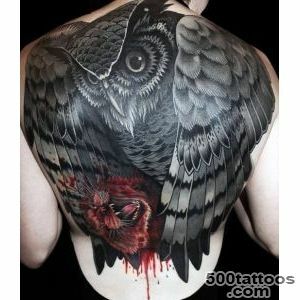 Similar beliefs exist among the ancient Celts : they called it a night predator messenger of death and cadaveric bird . 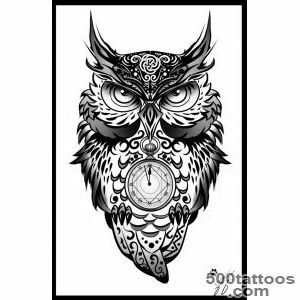 Christians associated owls with an impure lifestyle , witchcraft , spiritual blindness and lack of true faith .Do not like these night birds and the people of Africa : in Madagascar there is a belief that the Owls with witches suit dancing on the graves of the dead . 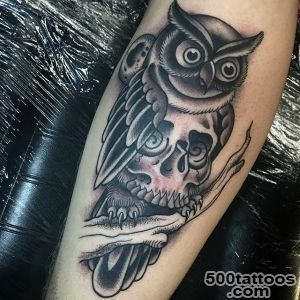 Mexicans have seen an owl in the cold night and the character , and in India this bird was accompanying the souls of the dead to the afterlife .Similar beliefs were formed in Egypt : there owls called mediators between the worlds of the living and the dead. 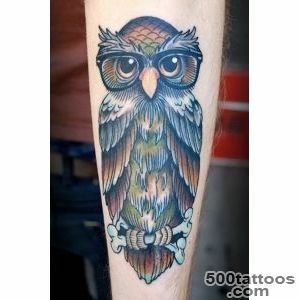 However , other nations owl has a positive symbolism . 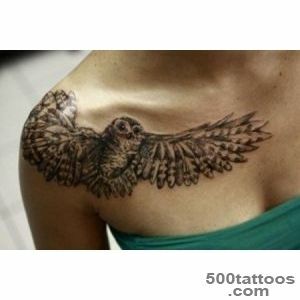 For the Indians , this bird is the embodiment of wisdom , she attributed to safeguard and protective qualities . 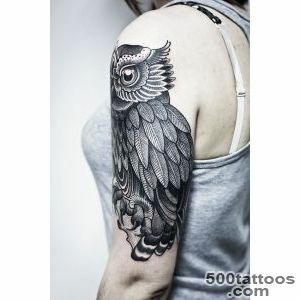 Residents of ancient Greece and Rome believedthat faithful companion of the goddess of wisdom and learning of sciences was precisely this bird of prey . 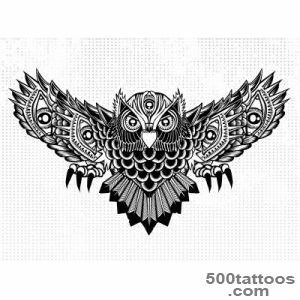 The Greeks believed owls seer because of their ability to see in the dark , and the image of this bird was applied to coins . 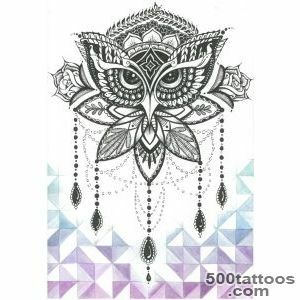 Adherents of Hinduism associated with the image of an owl cosmic spirituality . 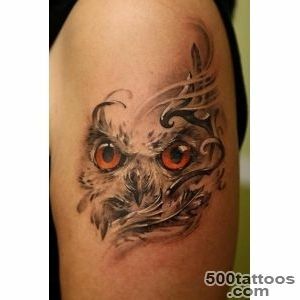 In Russia, the owl is also considered a symbol of intelligence , spirituality, and keen intelligence. 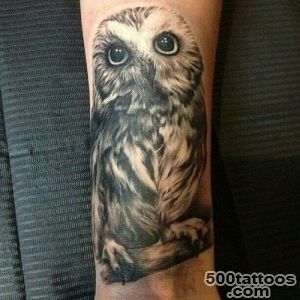 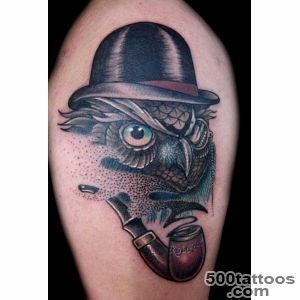 Meaning tattoo owl today is largely positive. 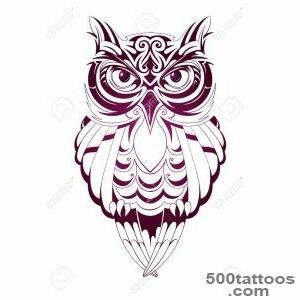 Image of this bird can be interpreted as a sign of wisdom , independence, freedom , knowledge and inclination to mysticism a tattoo wearer. 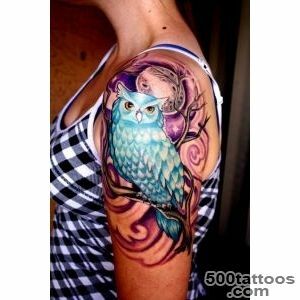 the owl is often associated with time , as these birds are long-lived . 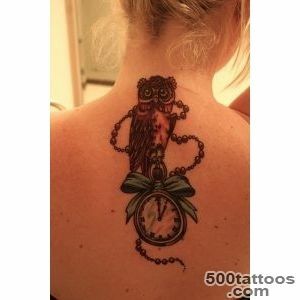 Sometimes , to emphasize this value ,tattoo masters portrayed next to the owl clock. 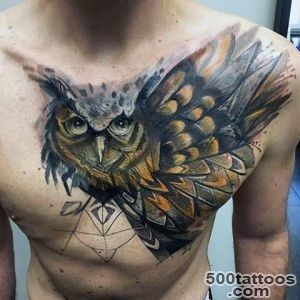 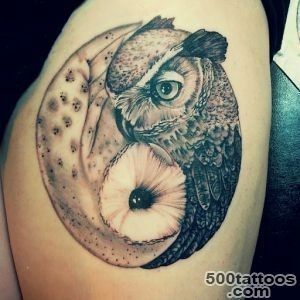 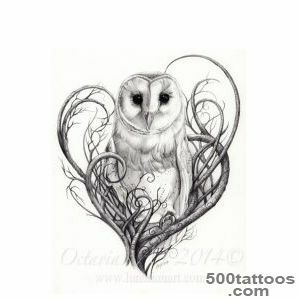 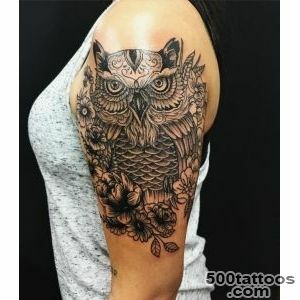 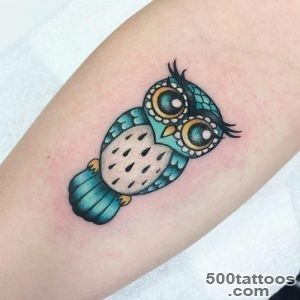 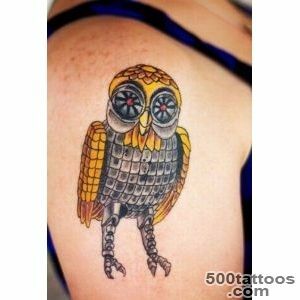 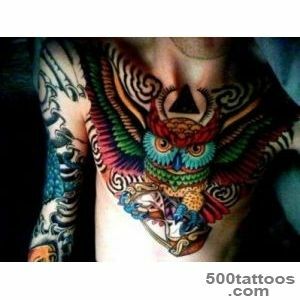 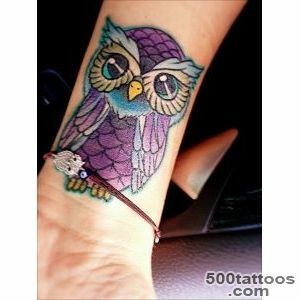 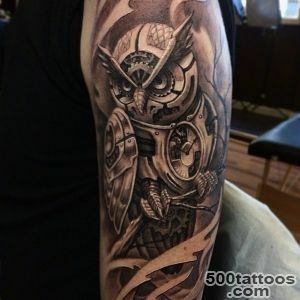 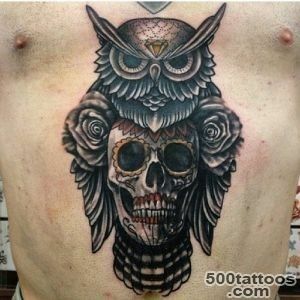 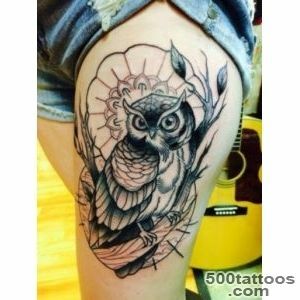 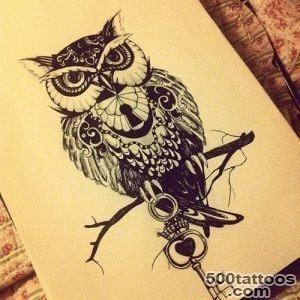 owl tattoo designs are also common with unusual eyes : instead of the usual bird's eye painted wizard gemstones clock face , or something else , depending on the wishes of the client .